Why Cleaning Your Engagement Ring Is Important? None of us live in truly sterile environments. We touch so much dust, dirt, and grease without even realizing it. This dirt can affect the look of an engagement ring, and even damage it beyond repair. Learn how to clean your engagement ring. Even everyday use of creams and other emollients, as well as shampoos and soaps that we don’t make enough of an effort to rinse properly from our hands, will all have a detrimental effect on all jewelry, but especially on rings due to the fact we use our hands constantly. Do you need to Clean your Ring? If you have a job that is dirty, or very physical, reduce the risk of damage by simply not wearing it whilst you work. 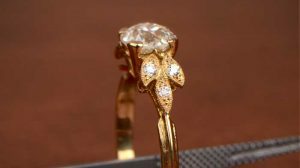 But, even if you have a safe – and seemingly clean – office job or if you are a homemaker, you should realize the value of your diamond engagement ring. 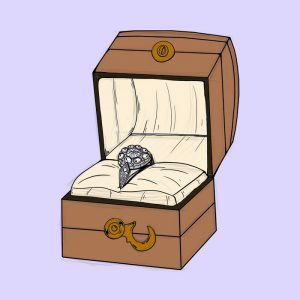 Your engagement ring isn’t a disposable commodity. It’s not a vacuum cleaner, or a TV or even a car, it’s much more important than any of those. It’s also, for many of us, the third most expensive single item we’ll ever buy, after a house and a car, and yet we clean both of those at least 50 times more, every year, than we do our engagement ring. Read below to learn of the dangers of not cleaning your ring. The process for the simple home cleaning of an engagement ring is really easy. Never clean your ring over the sink, because drains can be very unforgiving should your diamond go down one. Use a soft, lint-free cloth to dry your engagement ring, and let the drying process finish naturally at room temperature overnight. Don’t be tempted to apply any kind of heat to speed up the drying, and make sure the kids or cats can’t get at it whilst it’s drying! Cleaning a diamond engagement ring isn’t rocket science, it’s not even elementary school project science. It’s simple, it’s easy and it can be enormously fulfilling to know you’re doing something right. You need to clean your engagement ring at home once a week, and you need to bring it to the jeweler once a year. It’s much easier to do a light clean regularly than to have to remove months (or years) of ingrained dirt and grease. It also gives you a chance to inspect your engagement ring for damage or loosening of the stones before it’s too late. Oh and, by the way, dirt means bacteria, and bacteria means infection. It just makes plain sense to keep your ring clean. Don’t use strong cleaning agents or anything which contains chemicals used for cleaning floors, windows or anything else. Do it and there may well be no coming back. Don’t leave your engagement ring soaking overnight, as it simply isn’t waterproof enough to stand submersion without potential damage to the mount or anything else. Don’t be tempted to use an ultrasonic cleaner, as these use sound waves and sound waves mean vibrations. You won’t hear them or feel them, but your diamonds will, and they will almost certainly loosen enough to pop right out at some point. If you have emeralds or pearls in your ring, do not put any chemicals on the ring. Finally, don’t be tempted to go at your ring like you’re washing clothes down at the river. If the ring is too dirty to use anything more than the lightest touch, take it to a professional. Almost all jewelers offer an insured cleaning service, and they will get it looking better than you ever could. What If Your Ring Needs A Little More Attention? If your diamond engagement ring is particularly dirty but you still want a go at cleaning it yourself, the above method may be a little too gentle to get the worst of the dirt off. If so, you will need to be mindful of both the stones and the metal or metals used in the setting. Assuming your ring is either just platinum, gold or silver and ONLY has diamonds, you can use Windex to clean it. Just put the ring in a small bowl and spray enough Windex to make sure the ring is coated, turning the ring over if necessary. Then use a soft toothbrush to remove the dirt, and the Windex will happily lift it out nicely. 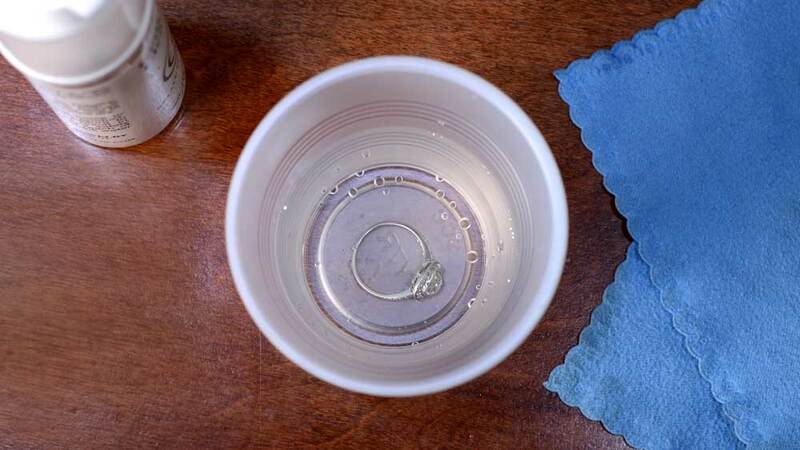 For extra protection, use a 50/50 solution of Windex and hydrogen peroxide and place the ring into the cup. The Windex will remove the dirt and the H2O2 will kill any lingering bacteria. Either way, we highly recommend the use of gloves when using this method as it will dry your skin quite quickly. Although Windex shouldn’t harm any hard gemstone, we seriously recommend using this method only for diamonds, and only for platinum, gold, and silver. 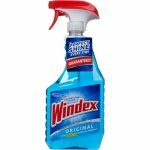 Windex is an ammonia solution, and harmful to soft gemstones (for example, emeralds and pearls), so using it for anything else is just too big a risk of damage. Otherwise, stick to the mild soap and water method. If it means you need to repeat the process initially to get your diamond engagement ring clean, so be it. Once you have it back to its original beauty, cleaning it will be a breeze. If you can actually notice that your engagement ring needs cleaning, it may be too late. Diamonds may be the hardest natural mineral on earth, but that doesn’t mean that nothing else can ever affect how it looks. Look at any object that has been in use for any length of time, and you will see signs of wear and tear, and it’s no different with a diamond. All that grease and grime you touch on a daily basis means that some will cling to your ring and never let go. These microscopic particles of dirt build up over time, until your once sparkling diamond is suddenly looking dull and lifeless, and has become the very antithesis of what a diamond should be. 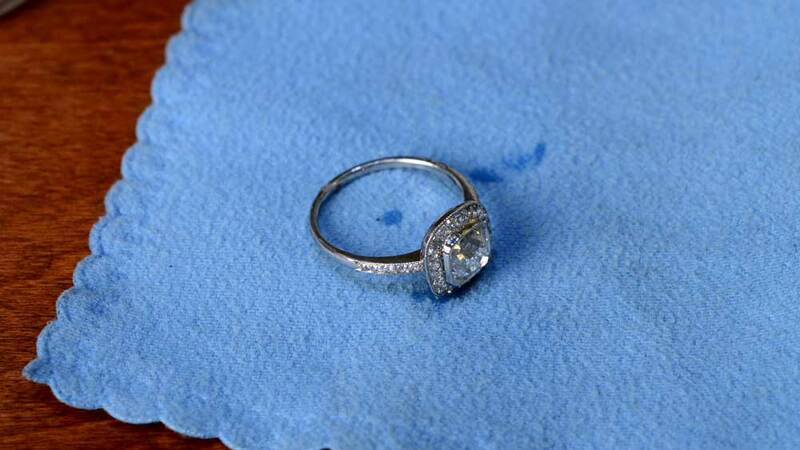 In addition to the loss of sparkle on the diamond itself, grease and dirt will get into every tiny nook and cranny on the ring, including under the stone itself. If enough dirt builds up, the increasing pressure under the diamond may cause it to work loose enough that, you’ll look down one day and all you have is a setting and no stone. Diamonds, in the big scheme of things, weigh very little. A 2-carat diamond weighs just 400mg. The diamond is so light that you won’t feel any difference whether your diamond is there or not. Before you realize that the diamond is missing, it will already be gone. If you have any doubts, take your ring to a jewelry store. Once you have your ring back, keeping clean will be really easy, as long as you do it regularly. It doesn’t matter how busy you think your life is, all you need if half an hour a week, or about the length of an average sitcom. 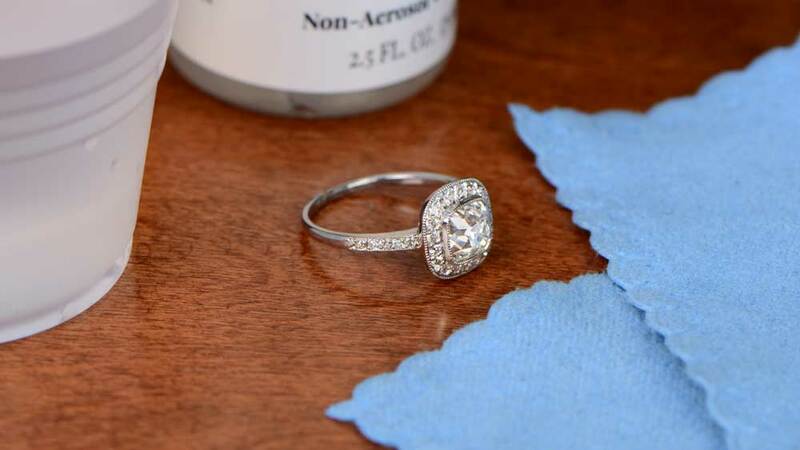 You need to keep your diamond engagement ring clean. Something as meaningful as an engagement ring should be clean and pristine.